While many countries are rich in bicycle heritage, some have particularly strong associations with distinct styles of bikes: the Netherlands with the omafiets and the bakfiets, France with the mixte, porteur and randonneur, England with the roadster and the elaborately lugged "lightweight," Italy with the Frascona curve and the racing bike, the US with the cruiser and the mountain bike. Far from arbitrary, these connections can be revealing about the history and the cultural values of the country where each design developed, and this aspect is always interesting for me. Some connections are obvious, while others more subtle. Why for instance, did some countries (England, Holland) favour the loop frame design for step-through bicycles, while the swan frame is the dominant design in others (Sweden, Austria)? Did it have to do with women's fashions at the time these bicycles were developed? What accounts for the development of low trail vs mid/high-trail geometry and the tradition to carry luggage on the front vs on the rear? There is nothing I can think of that is country-specific that would explain this. And what about the early preference of derailleurs to internally geared hubs in France, even on city bicycles? Things like this are constantly going through my mind when I look at different bicycles and think about their history. When it comes to building bicycles today, the national characteristics of a particular design continue to play a role, while also meshing with other traditions. European manufacturers have used American mountain bikes for inspiration. American builders and manufacturers have used Dutch bikes and French porteurs for inspiration. The end product inevitably reflects an interesting mix of historical traditions and cultural values. 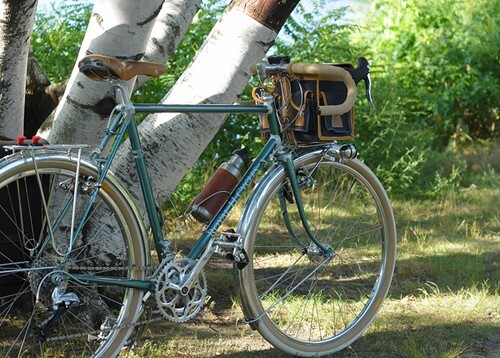 As I was working on, then riding, and then writing about the Randonneur over the past 8 months, I keep thinking how interesting it was that this old French design is now thriving (relatively speaking of course) in the US, with fairly minor modifications from the original. I suppose it makes sense: There is lots of land here, lots of places to travel, and Americans value speed - hence the growing popularity of randonneuring. Add to that the custom bicycle boom, and suddenly American framebuilders - for whom only three years ago "clearance for wide tires" meant 28mm - are building 650Bx40mm bikes with elaborate custom racks and cantilever brake bosses - an entirely normal feature now thanks to the popularity of cyclocross. Since American culture is a mish-mash of other traditions, it seems only natural that US builders are inspired by French, or Italian, or Dutch bikes. But what about a country with a very distinct tradition of its own? Can you see a low trail randonneuring bicycle made by an English builder, or is that too strange? I've been discussing a possible project with Mercian Cycles, and if it works it could be interesting in that respect. The national character of bicycles is increasingly fluid and playful, and some traditions are kept alive through other countries' takes on them. Catalogue dimensions for Jack Taylor frames specified 2-1/2" rake for 73 degree head frames and 2-3/4" rake for 72 degree head frames. Those specs were unchanged for six decades. So yes low trail randonneurs from English builders are quite possible. Def weird. I'd be inclined to leave the specialness of nat'l traditions alone and let the pot melt in the US. Fusion done poorly just dilutes the end result, same as w/food. Since your experiment with low trail did not prove conclusively it is "better" I don't see the point unless it is a one-off for you, in which case of course! But does Mercian have any experience in load testing their fork for this app? Do they have any experience fine tuning the frame for front loads? English production builders like Mercian and Bob Jackson strike me as precisely the wrong houses to be fine tuning a Franco-Anglo collabo. The strength of US builders is their ability to absorb and vet new ideas. The ability to come in at a lower price point is possibly the Anglos' strength. Ye get what ye pay for. What do you mean that US framebuilders vet new ideas? None of the framebuilders I know can afford to build a frame for R&D purposes alone. When they think of a concept, they try to find a customer who is willing to order it, which essentially makes customers for every new type of bike beta testers. I am talking about small individual framebuilders of course and not houses like IF and Seven. "which essentially makes customers for every new type of bike beta testers"
Racial in what way? Do you disagree that different countries have traditions of making specific types of bicycles (and architecture, and apparel)? It would follow that builders who learn their craft in those countries tend to have lots of experience in making those types of bicycles while being relatively unfamiliar with other types of bikes. And sure, there can be fusion of design traditions when it comes to bicycles just as there can be fusion of architectural and apparel traditions. None of this of course has anything to do with quality; it is simply about different styles. It is what makes the world interesting. By "racial", I meant that people talking or writing about races and "dilution" (ex from above, which prompted my comment: "Fusion done poorly just dilutes the end result") make me uncomfortable, because that sounds like doublespeak for something very different and definitely Off-Topic. Of course, different countries have different traditions. That's what I love about the world. Likewise, I love the fusion of ALL kinds which have resulted from different cultures mingling for many millennia. XO Chris - I am pretty sure that Jim would agree with your last paragraph, and that you misread what was meant by "dilution". While true that the number of framebuilders offering wide clearances and braze-ons for fenders and racks has increased exponentially over the past several years, I wonder how many of them really know what they are doing. This sort of thing takes years to perfect. I think it depends on how the framebuilder works. In theory there is no reason why a careful framebuilder cannot measure everything properly and get that stuff done. When Bryan of Royal H made my mixte frame, it was the first time he'd done those types of clearances and braze-ons and all went well with that aspect. There are also plenty of instances where framebuilders with lots of experience get it wrong. Anon 10:35 & Jim 10:55 (FYI the time stamps are messed up and this is Blogger, not me) - After I gave Bryan (of Royal H) the specs for the randonneur frame, he was looking into low trail geometry and discovered an old catalog from an English builder showing frames with 29mm trail. We were both surprised to see this, but there it was. From the 30s, if I recall correctly. These types of generalizations, assumptions, or "concerns" about builders from one country or another are inherently bogus and often jingoistic. Discussion of "fusion" of cultures and its end result sounds, well, like thinly veiled racial commentary." Well, I don't view the world in terms of doctrines, racial or otherwise. Perhaps you do. If I were to do PBP I'd be fascinated by the different bikes and riders there, informed by their native cultures and wouldn't want to see any dilution of it. If V were to show up on a a Franco-Anglo bike, that too. This is the same response I get when I ask some acquaintances their race, under the proper social occasion: stiffening, racial overtones. No, heritage is interesting. 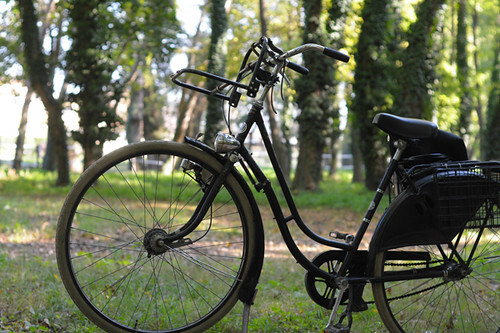 Should the world eventually evolve into one type of person, one type of bike? But if you want to take what I said as a racist statement and set up a polemic rather than politely ask me a question, and not refute anything I've said, well that's just bogus. When did the world become so binary? I think there are many influences. One thing to remember is that in different countries, cyclists belonged to different classes. In Britain, cycling was a working-class sport, and a lad who spent his hard-earned on a custom bike wanted something to show for it. Hence the many "brilliant" and "flamboyant" finishes. However, the customers usually re-used parts from an old bike, so they often bought only the frame and fork from the builder. 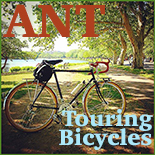 In France, many cyclotourists were affluent, and for them, a black or chrome-plated frame was considered more tasteful. On the other hand, they had the money to buy a very expensive complete bike. This provided a market for constructeurs, who developed fully integrated bicycles. I may have missed this, but is there a book on the history of English lightweights? The big repository of Jack Taylor Cycles lore is with Joel Metz/Blackbirds/Jack Taylor Registry. Bob Freeman at Elliot Bay and meauxtown on flickr have lots too. Taylor was a combination of English local builder and constructeur. They did the stems, the racks, did a lot of tandems, made more Goeland trailers than Goeland did. They always had a loyal following amongst international tourists and randonneurs. One of the big differences between them and the name constructeurs was they worked fast and got the bikes completed and shipped. Most of their special Reynolds tubesets were the same as anyone elses tubesets with a special sticker printed for them. Some of the tubes were special. The patterns are still around. The Jack Taylor Rough Stuff is arguably the first mountain bike. Made for a customer who wanted to carry photo equipment over rough trails in the North of England. 650B. Mercian could hardly do a series of rando or tourist bikes for you without having Jack, Norman, and Ken somewhere in their minds. Have a look at the visual vocabulary Taylor created. And there's a precedent that might apply to you. 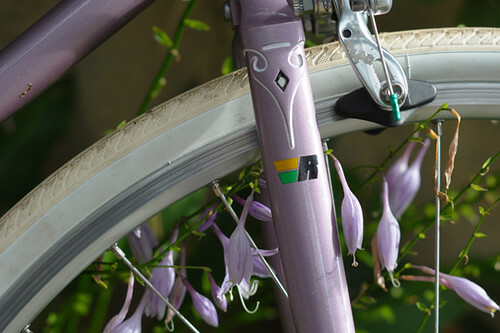 The Taylor "Mondrian" headbadge and graphics were done for them by an American customer, a woman from California. Her name is at Joel Metz' site. The other big name English tourist specialty builder was F.W. Evans. Beautiful bikes, long forks, lots of innovation. Not a lot of information around though. My guess is that a lot of these styles and components came about because a particular bicycle company preferred that form or componentry, either because they had a patent on it, or could get that component cheaper than others, or possibly because the people in the compnay just thought it was nicer looking. That particular bike became common and other companies started immitating it. It makes me smile that you Velouria ride a fixed wheel Mercian and rave so much about the company. My father used to be a bicycle addict, ride fixed wheel and loathed Mercian - though I could never understand why..!?! Talking of light weight English bikes, you may want to also consider Condor based in London. Condor gave been producing bikes for donkeys years. Mick Jagger, Eric Clapton, Alan Sugar (of Amstrad fame) oh and me - are all proud owners of these handbuilt beauties. I inherited a Condor and didnt know what I had recieved. I was going to sell it to the local second handshop for £20, but took it out for a ride and thought "ooh smooth", then decided to research it. I like my Mercian fixed gear very much so far and find the company interesting. I am by no means a raver though, my experience is fairly limited at this stage. Also I should note that my husband returned the frame he got from them, so no builder is perfect. This lady on the other hand now has 4 Mercian bikes! Condor Cycles sell beautiful lugged frames for reasonable prices and I wish there was a way to try one! Do you have pictures of yours? I must admit from the pictures of your purple (lavender?) Mercian that you've posted - I really like. Alas I have no pictures of the Condor as yet. It's stuck in my garage in need of a bit of TLC. Please be aware that its probably 30-40 years old so the old girl needs some attention. The thing is because of my old Condor Ive now started to get an interest in old bikes generally. Im trying to track down a decent sit-up and beg, 3 speed like a Rudge Whitworth (oh I love thee dear Rudge). Almost all of that "national character" stems from each country having its own independent bicycle industry, with differing standards and especially protective tariffs keeping out the foreigners. It wasn't until the 70s boom that there was any significant importing between countries -- before that if you wanted to sell a bike with a particular part, you basically needed a local factory to develop and produce it for you. 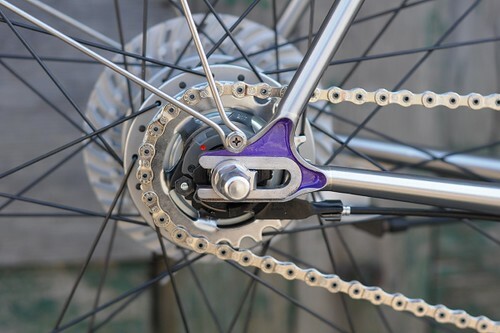 The British and Germans built and cloned each other's improvements to internal gear hubs and coaster/drum brakes, but the french never did, instead being big on rim brake and derailleur development. As for the building of low-trail 650b randonneuring bicycles with integrated racks/fenders that plane -- I think anyone willing to put in the effort can build them, but there've been astonishingly few bikes anything like that ever made. Jan could give a better estimate if he's willing, but I don't thing many mid-to-high end examples have been built, best guess would be ~300 late-model Kogswell P/Rs, ~100 Rawland rSogns, ~100 NAHBSy American customs, ~200 Japanese customs, and ~600 historical French constructeur bikes. There's also thousands of french-market 650b Peugeots and the like sold, but most of those would have been sold as sturdy city bikes with guidonnet levers, not integrated randonneurs. The volumes go up quite a lot in 700c, but then you're counting a lot of bikes that just happen to fit Jan's preferred silhouette without having been specifically intended for a front load or anything. Such distinctions say more about the perceptions of those who raise them than about actual reality. I can see a low-trail classic English bike by walking to the rack at work, where I lock it. Trail figures are not a national characteristic. Neither are certain basic forms of bike. The roadster and the lightweight have been ubiquitous in all Western countries. One can take the extreme, exceptional American balloon tire bike as evidence that bikes, at that time, no longer were very important for American adult sport or transport. However, it would be hard to make a case, based on sources, that purely superficial differences such as form of ladys' frames, or configuration of baggage, can be revealing about the history and cultural values of nations. Do you really think the mixte says something about French cultural values? A more likely explanation of the functionally slight or superficial differences you cite is to look for the influences of regionally dominant manufacturers, marketers, and bicycle news organs. In other words, look within bike cultures, and bike manufacturing economies, not at the broader cultures. Even then one must tread carefully. The more one knows about bike history, from books and historic journals, the more cautious he or she will be in applying national labels or origins for particular styles or technology. Reality is more fluid than common assumptions. Good lightweight bikes were made in America, in large numbers, before the 1920s. The omafiets looks like a 19th Century British lady's bike. 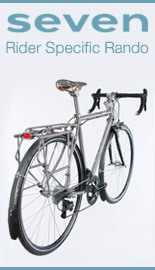 The innovative French Bastide used Reynolds tubing and BSA parts. In the 1930s- 1950s you could have integrated lighting and custom racks on a British lightweight from multiple builders, or on an Italian roadster. It was not only the French who had these. From the 50s through the 70s there was some variation in typical baggage across the English Channel, but if you have a bicycle history book collection of sufficient depth, you see that earlier that was not the case, just as it is has not been for years since. Fancy lugs enjoyed brief popularity in Britain (late 30s to the mid-50s), but it was a short period bookended by predominance of plain lugs, while concurrently certain Italian builders working with plain lugs enjoyed good reputations and high prices in the UK. The French invented the boneshaker. The main driver of bike development from invention of the ordinary in the 1870s into the 1930s was Britain. As cars became commonplace, transport bikes stagnated and the bike as sporting article predominated. Thus Continental racing became the driver, with competing French and Italian developments until Campagnolo emerged dominant in the early Fifties. The Japanese took the lead in the Seventies. They and the Taiwanese manufacturers now dominate technological development in step with American product designers. In the roadster realm, American designers introduced hybrids (made in Asian factories), to which European bike marketers, and latterly American ones, added hub gears (often Shimano's). These bikes tell us a good deal about corporate manufacturing, but not much about any country's history and culture. Today few French riders, or even French randonneurs, use randonneur bikes in the classic French style. As popular as racing bikes are in Italy (on the weekends), the country is awash in roadsters. Touring bikes with canvas bags are considered very outdated in Britain and France, used by only a minority of riders. Dutch bikes work in Holland because it is flat, and are unpopular (which is not to say unused) everywhere else. Lightweight road bikes have a following there, too. The characteristic bike of America is the mountain bike (and its cousin the hybrid). The same now could be said of England, France, and most other places. I understand your point of course, and the same exact point can be made regarding architecture and clothing. Nonetheless, the architecture of Paris differs from the architecture of, say, Oslo, and there are both historical and cultural reasons for that. To explore them is pretty interesting. Same with bikes. This has been bugging me: " And what about the early preference of derailleurs to internally geared hubs in France, even on city bicycles?" Because a French guy invented it that's why we use the French term? TdF -> popular useage? France is further south than Sturmey Archer? Wrt national character - don't the available materials and manufacturing culture give a distinct ride quality? Might we call this a national build character if it exists, and if we were splitting hairs? Might I make an entire comment a riddle? You're a bit low on total numbers built. Alex Singer alone has produced 3500 cycles, most of which would be randos. Jack Taylor did 9000, including of course unicycles and Curved Tubes, but certainly several thousand full randos by my standards at least. More significant would be all the race bikes made from the 30s through the 70s that as a matter of course had clearance for wider tires, fender eyelets, and plenty of rough road capability because rough roads were what there was. In my time racers didn't want full low trail, 45mm did the job fine. A 74 head with 50mm rake or a 73 head with 60mm were common specs for many thousands of production racers. If you look at "production" Bianchis or Fiorellis or Carltons or Peugeots from before 1970 or so you'll see lots of handwork, lots of fine finishwork from builders ready to see their product "plane" if that's what we call it. There were also a plethora of small builders all over Europe. The way the work was done in the big factories was not that different from the way a solitary craftsman would do it. And large builders often contracted the high end work out to tiny shops then put the big company decals on. So the same builder makes a Cinelli this week and next week he does Bianchis. The guy who bought at the Bianchi price got a great deal. For full integration and perfectly chromed matching racks and constructeurs challenging themselves to create new, unique, and useful features for each and every customer the numbers are small. For all roads, all weather, all day and all night fast light bikes the numbers are large. There must be a lot of them. When I asked around, a friend of a friend in France was able to find to a low trail 650B randonneur in my size which he measured for me. Belonged to his colleague's father in the 50s. Oh I see what you mean. That's a tiny piece of dried leaf, my bikes are always dirty. xo should read things in a broader context and not so much Hitlerian propaganda. So much, like a parallel of life itself! We are just memes. I agree that, traditionally, bicycles tend to differ drastically from nation to nation. I think that the bicycle industry has grown alot, and in growing, it has homogenized to some degree. That being said, it is very easy to perceive some sort of cultural influence on a given bike. I recently read a Bicycle Times with an article about some lady's VO Polyvalent, and the title was something like "French Bred". Strangely, there wasn't a single French-made component on the bike. That being said, one can certainly see alot of French influence in the build, as well as some notable departures. I thought it was a horrid article, but relevant to the discussion at hand, IMO. Anonymous above questioned whether cultural values are reflected in the bicycles, and I see where that sentiment is coming from. 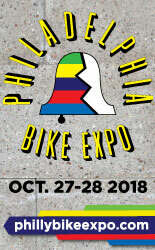 On the other hand, I can travel about 7 miles West from my home in South Jersey and find totally different bikes in Philadelphia than I do in the burbs. The differences do seem to reflect some differing prevalent cultural values. Peppy, you have a sick sense of humour, I like it! "However, the customers usually re-used parts from an old bike, so they often bought only the frame and fork from the builder." This comment might lead readers to conclude a causal relationship. In fact most British lightweights enthusiasts pre-1960s bought frames because of a high purchase tax on complete cycles. Velouria, there is no monograph on British lightweights. The Veteran Cycle Club publishes many articles (seriously researched and often subject to extensive commentary) and reprints of historic books and catalogs. 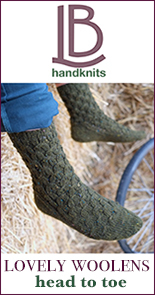 Hilary Stone's authoritative C+ articles are reprinted on classiclightweights.co.uk. A VCC member wrote a general article on British lightweights for BQ. Firstly, congratulations on a bicycle blog that I can actually enjoy reading. Personally, I enjoy the fresh American attitude to cycling, if nothing else, it helps you appreciate the finer points of design, construction and history. I suppose that French manufacturers decided to stick with derailleurs for all bikes for the cost. How much would it have cost in the 1930's to import and fit Sturmey Archer hub gears as opposed to locally sourced derailleurs ? Meanwhile in the UK imported derailleurs were more expensive than the ubiquitous Sturmey Archer and coped better with the British weather conditions i.e. rain, rain and more rain! Before I moved to France from Scotland I commuted every day by bike. I found that using derailleurs for commuting in Glasgow was a seriously high maintenance activity, whereas if I used a hub geared bike with chain enclosure it was a case of just ride the bike, just ride the bike ! And again I would imagine that image would be just as important in marketing bikes then as now. I'm sure Mme Leclerc would be quite taken by the fact that the gearing system on her new bike bore a pretty close resemblance to the gears on the bike that had just won last year's Tour de France. In UK at that time cycling competition was a thing that probably happened but we didn't really want to talk about it and it was only with cunning and ingenuity that manufacturers could use competition success as a means of advertising. Speaking from experience, I would be very wary about changing tried and tested formulas for frame/fork design. I took the mad notion to reinvent a fully chaincased, hub braked, hub geared roadster with built in lighting and carriers. Well it looked good! but the ride was frankly disappointing! Eventually I bought a Gazelle with hub brakes, Shimano hub gears and hub dynamo and a suitably robust carrying rack.The basic design of the frame is probably pre WW1 and none the worse for that! And ten years later, out of my dozen or so bikes, it's the one I probably use the most. A number of years ago I bought a 1919 Raleigh Model F from a fellow VCC member and when I told him later how much I enjoyed riding it he said " don't forget, those bikes were designed and built by people who actually rode them, not just up and down a carpet at a press launch "
Take a look at Carol McNeill's lovely Queen of Scots mixte on Bob Reid's Flying Scot Site http://www.flying-scot.com When I was a kid in Glasgow my school was right next to the Rattray's factory and from our Physics classroom we could look right into the workshops. How I managed to pass my Physics exams I'll never know! A Flying Scot in those days in Glasgow was the object of desire and I certainly could never afford one until a few years ago. But even then there was a sort of blending of national bike characteristics with Flying Scots borrowing heavily from then current French styles and practices. My Flying Scot, a not atypical 1947 model, is badged as a Continental Model showing crossed French and Scottish flags. Mind you it was made with Accles and Pollock Tubing and equipped with a Sturmey Archer 4 speed hub so why not crossed English and Scottish flags ? Somewhat relevant to this (the Frascona curve), I wanted to share this. You're welcome! Mercian have produced beautiful english touring bikes with rack mountings etc forever pretty much usually 700c x 32mm tyres, quite a few other english builders do too. It seems a strange thing to do to want an english rando with say 650b tyres etc? Would feel a bit to me like having an italian style suit made in saville row.